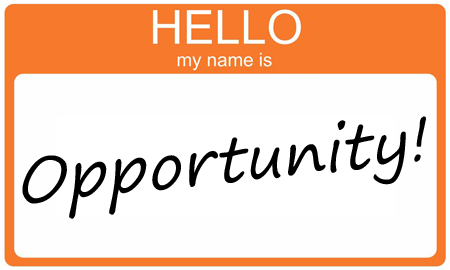 Is your group a club or a vital extension of Chamber staff and the Membership Team? I’ve been doing a lot of work with ambassador groups in the last couple of months. These groups can be a lot of things, but what I’m finding pretty consistently is a club that meets once a month for lunch and walks away with a list they have been “voluntold” to accomplish by the next meeting. Some will do it, some won’t. Some will relish the activity, most won’t take it seriously. Some want the free lunch and networking. Some love showing up for all the ribbon cuttings and events. Some do the work because they actually find an opportunity to promote their OWN business while out and about “representing” the Chamber. This ambassador conversation is prevalent in the industry right now; in online groups, at conferences, among industry professionals. I get questions about it, requests to speak about it, phone calls and emails asking for help. My personal take away is that with the limited amount of time Chamber professionals have to do the work required of the job, managing a “club” of volunteers and not getting any real help from them is becoming an acute problem. Are your Ambassadors really helping you with membership or just running errands, i.e. dropping off packets and decorating and making a show at events? Couldn’t you use some REAL help via extra hands and feet helping with engagement and retention? Meaningful work that produces results? Do you really need one more thing to manage if you end up doing all the work yourself? There is real opportunity if you have the right people. Remember what Jim Collins said in Good to Great…. "Get the right people on the bus, the wrong people off the bus, and the right people in the right seats." Decide what you need. What will actually relieve some of the work load for you on the membership front? Create a job description and handbook that reflects that work. Make it specific. Set very clear expectations. This should include ongoing education about what your organization is doing, is all about, the players, the impact. If they don’t know how can we expect them to be an extension of the organization’s work? Host a meeting with your current group. Present the materials. Walk through it with them. Get their feedback. If they can’t buy in or offer creative input then they aren’t on the “right bus”. Look for ownership. If volunteers own the process they will do the work. That’s the kind of volunteer you want at the table. Look for those “highly functioning” volunteers that will bring strategic thinking and leadership to the table. Clean house. Have them sign off on the job as a commitment. Keep the group small and manageable. Set term limits; one year is best. Build in accountability that is reviewed by a group leader. There actually are some groups that are working extremely well and doing real work. Congratulations to those few! If you are one of those then please share your experience and structure with us. But, if your group is about points, jackets, lunch or being volunteer of the year then those are exactly the results you will get. Having a little lunch once a month, going over the new members and signing people up to drop off packets would never be a model for the Board of Directors. If that’s what you have then you are managing a lunch club and, well, doesn’t that ultimately just mean one more thing you have to plan, facilitate and manage? I had a surprise phone call from a Chamber of Commerce friend a couple of weeks ago. To say she was frustrated would be a considerable understatement. Her Chamber is strong. It is recognized by members and the community as an organization of value. This Executive works hard, always looks for ways to partner with other community organizations and local leadership. She’s doing good work and she’s passionate about that work. The community recently had a shift in leadership at the City level. Suddenly this Chamber professional is no longer invited to openings or asked to conduct ribbon cuttings for new industry. Not only that, the city purchased its own “big scissors” and has made it clear that the Chamber should not make an appearance at those events. The City is beginning to host some networking programs and educational forums. It appears as though this City leadership would like to assume the role of the Chamber and they are being quite visible about it. I’m beginning to doubt myself……what have I done wrong? YOU haven’t done anything wrong and it’s time to trust yourself. The motivation of others is sometimes hard to understand. Without a direct conversation with that individual or group in which they explain their motivation we are only left with assumption and assumption will never give us the real truth. Believing we can change them is not a choice. Believing that we have to counter by defending ourselves for some reason is also not a solution. Since Chambers of Commerce are about far more than ribbon cuttings and programs it’s time to take a look at all the value that you are giving to the community. Let them do their ribbon cuttings. 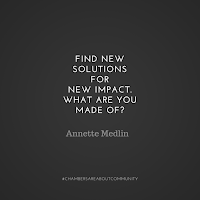 Meantime, sit down and bust out some strategic elements for your Chamber that are focused on workforce development, existing industry, knowledge formats like town hall meetings, door to door walk abouts that put you in front of businesses and ask what would help them with their challenges, large scale community projects that put the Chamber in the position of convener and coordinator. Things that really matter and for which a Chamber is in a position to provide leadership. 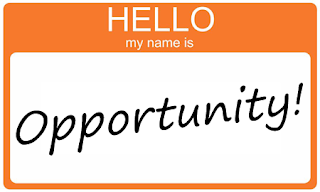 Look for those opportunities they ARE there. 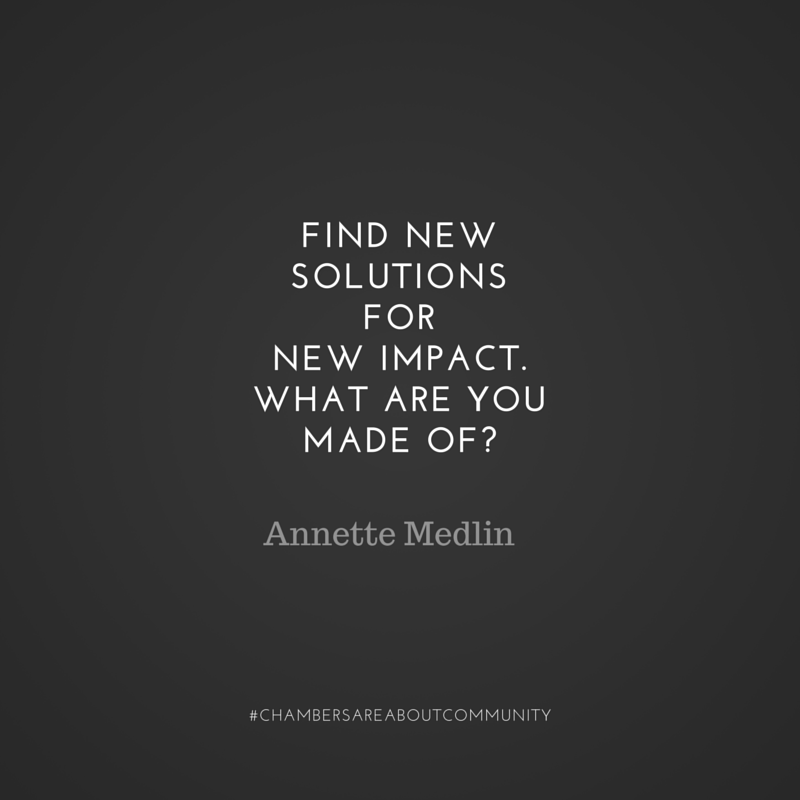 Share the Chamber’s impact story in every possible medium. “Did you know” posts on social media, something at the top of every newsletter that shares your impact or something new you are doing that is valuable to local business (NOT just a constant focus on events), go to Council meetings and stand up at public comment to share something that is going on that affects the community, write a letter to the editor or better yet negotiate an ongoing Chamber space in the local paper to tell your stories. Be visible, be vocal and be powerful. You have all of this at your disposal. Schedule one on one meetings with council members just to get to know them and hear what’s going on from them. You may already have a strong relationship with them, if so, then it’s time to strengthen the relationship. I completely understand this frustration. Chamber professionals frequently flow along smoothly for a while only to wake up one day and feel they are in front of the firing squad. Chamber work is not just a job; it’s personal. You are never separated from that identity. Because it’s personal it’s hard not to feel like there may have been something we could have done to avoid the current predicament. If you’ve done the soul searching and see absolutely nothing that could have brought this on, well then, leave it behind……..it’s time to dive deeper and find new solutions for new impact! !